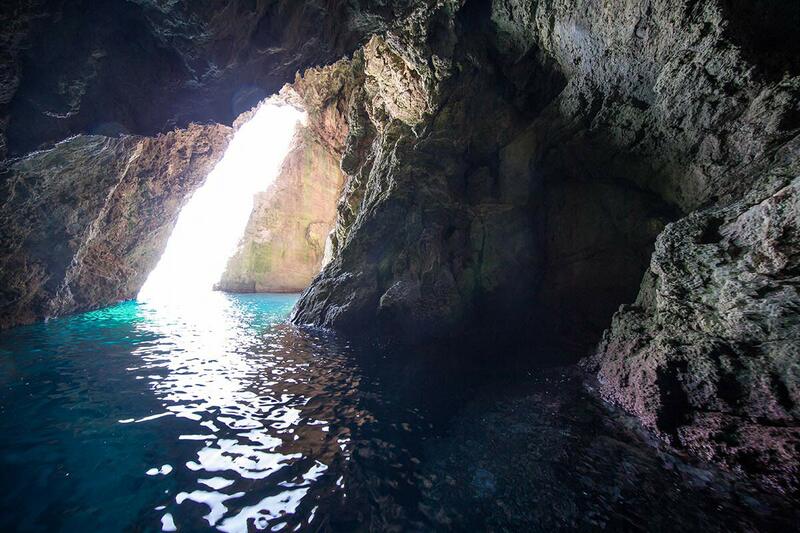 Since island Vis and the surrounding islands and islets are famous for their numerous caves, we have decided to reveal to you one of the most grandeurs caves of the entire archipelago, the Monk Seal Cave on Bisevo island. The Monk Seal Cave was named after the Mediterranean Monk Seal (lat. Monachus monachus), a species which used to reside in the waters around Bisevo island. Since Vis archipelago is thriving in fish population and the caves offered monk seals protection and rest, as well as the spawning ground, this area was ideal to support a Mediterranean Monk Seal population. This area is also famous for its fishermen, especially those from Komiza on island Vis, who with their authentic Falkusa boats fished these waters for centuries. You can even visit fishermen museum in Komiza depicting their world renowned fishing history. Since Mediterranean Monk Seals feed on fish they were notorious for ripping the fishermen’s nets and feasting on the fish they found inside. Local fishermen called them “sea men” (morski covik in local dialect) and for, their activity, they made Mediterranean Monk Seal their biggest enemy. This has lead to over hunting and from 1960’s monk seals can no longer be seen in these waters. 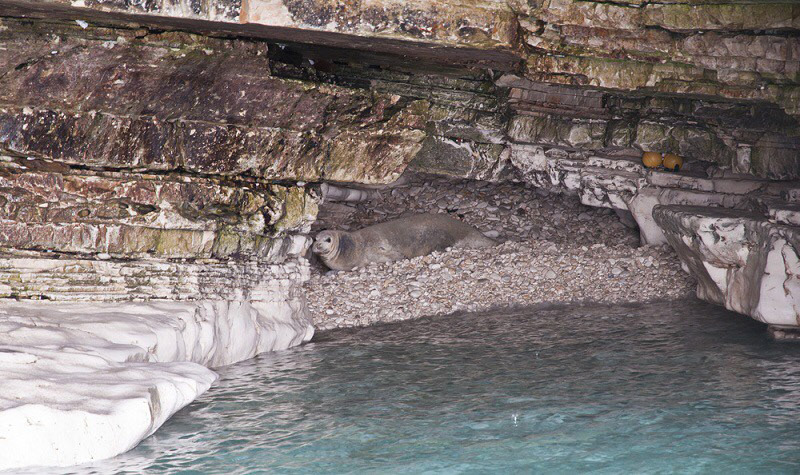 It is important to note that from 2003 there have been reported sightings of Mediterranean Monk Seal in the waters around Bisevo island but it is speculated that they have wondered of from the Ionian sea rather than it is established new population in the Adriatic sea. Today, monk seals are amongst most endangered mammals on the planet. Hopefully, with the plans of their re-population in the Adriatic sea, where they are thought to be extinct, we can once again enjoy in their presence. 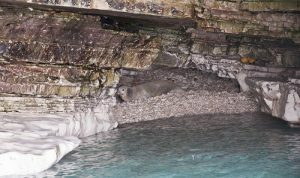 So, as the addition to the Blue Cave tour from Split, we have decided to reveal to you their former habitat, the longest cave on the Bisevo island, the Monk Seal Cave. As opposed to the Blue Cave, where cave exploration is organized and arranged with the local tour guides, the exploration of Monk Seal Cave requires a little bit of adventurous spirit mixed in with little bit of courage. Even though the cave entrance is relatively large, going 17 meters in hight and around 5 meters in width, it is not always possible to enter the cave with our speedboat. This is mainly due to the sea conditions and the condition of the tide. If that is the case we enter the Monk Seal cave by swimming, otherwise we enter inside with our tour boat. 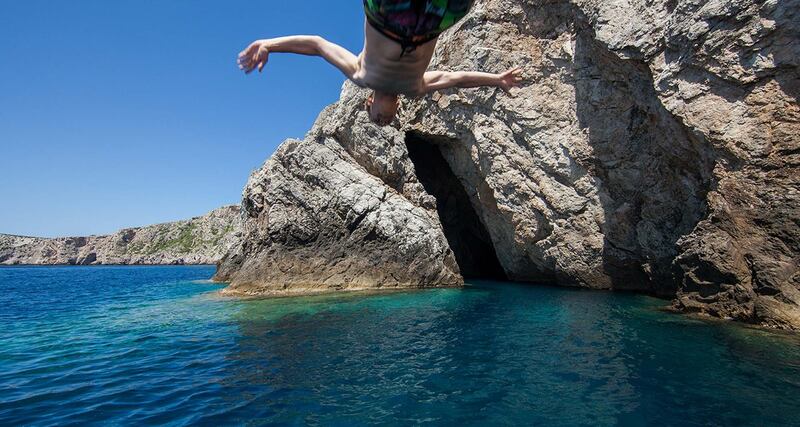 In case we are unable to enter the cave with our boat and you don’t feel comfortable swimming inside, you are welcome to stay on the boat with our skipper or swim in front of the cave till the party returns. As we enter the Monk Seal Cave, you will enjoy in the pay of light and shadows as the sun penetrates the cave interior through the tall gate. Since the cave is around one hundred in sixty meters long the light does not penetrate the cave in its entirety end exploring the cave further requires a bit of courage. At around 40 meters inside the cave, because of the stone located in the middle of the cave, it is impossible to explore the cave with the boat any further. The light inside the cave at this point is almost non existent so we will need to use the hand lamp to explore the cave further. At the basin of the Monk Seal Cave you will find a little pebble beach were Mediterranean Monk Seal used to get out of the sea to rest on the shore, safe and protected.